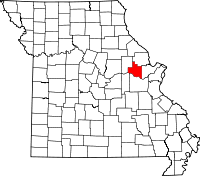 Warren County, part of the Missouri Rhineland due to the abundance of vineyards in the area, has about 30,000 residents. The Warren County Collector has a number of responsibilities, among them the filing of various records and making them available to the public for research. The office, which maintains tax, property, and various other records, is located in the Warren County Courthouse Annex Building at 105 S. Market St. in Warrenton, MO. Two computer terminals, one copy machine, and one microfilm reader are all available at the office for use by the public at no cost, and office staff will assist those who require it while charging them in 15 minute increments. Fees are determined by the average hourly pay of office staff. While the office is open Monday through Friday from 8:00AM until 4:30PM excluding holidays, visitors are encouraged to call (636) 456-3330 ahead just to ensure office availability.